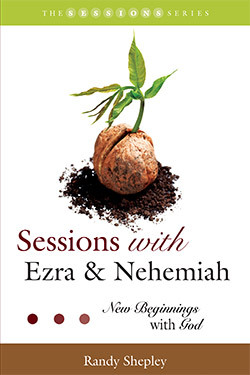 Sessions with Ezra & Nehemiah is a ten-session study unit designed to explore the story and theological themes associated with the Israelites’ return from exile. 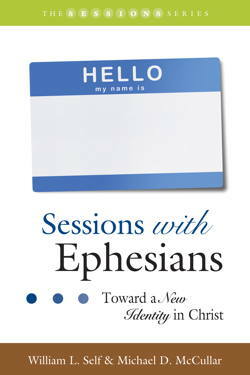 Each session is followed by a thought-provoking page of questions that allow for a deeper experience of the scriptural passages. These resource pages can be used by seminar leaders during preparation and group discussion, as well as in individual Bible study. Ezra and Nehemiah address questions that continue to be relevant for believers today: How does a religious group embody their faith as a minority movement in a larger, pluralistic culture? How do church leaders guide people of faith to develop courage and holiness? Ezra and Nehemiah also provide encouragement to churches who struggle with the nostalgia of their past even as they move forward into their future, as well as those moving from disordered chaos to spiritual community. Randy Shepley serves as senior pastor of the First Baptist Church of Newport News, Virginia. He has also pastored churches in Georgia and North Carolina. A native of Atlanta, Randy graduated from Mercer University (BA), Candler School of Theology at Emory University (MDiv), and the McAfee School of Theology of Mercer University (DMin). Randy is married to Alice, who is a native of Macon, Georgia. Randy and Alice have three children, James, Samuel, and Elizabeth.